The first and second year students put on a show of 16 solo and group dances, all in a contemporary style. Their work was inspired by a choice of stimuli set by the exam board. These stimuli included Maya Angelou’s poem ‘Caged Bird’, Anthony Howe’s wind-powered kinetic sculptures, as well as the ecological term ‘interspecific competition’ and the personality of Peter Pan. 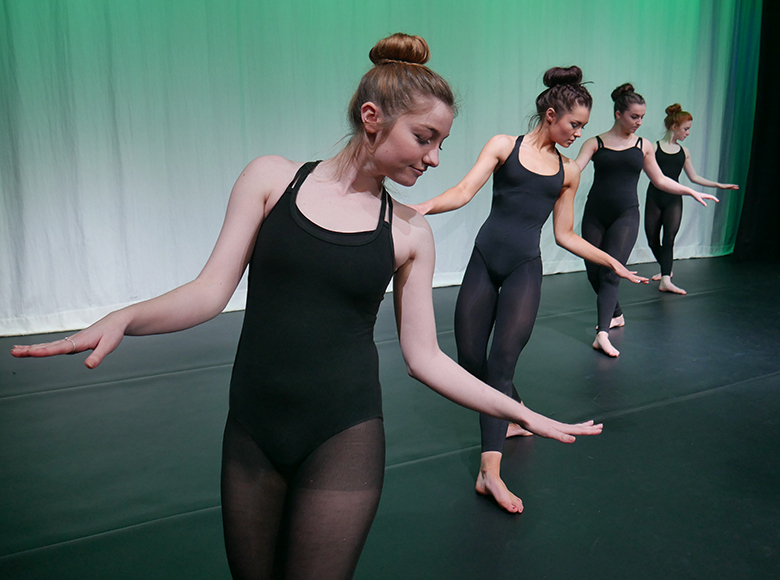 Second year students also performed solos based on the work of acclaimed American dancer and choreographer Alvin Ailey, whose style the students study as part of their A level course. See more photos of the Dance Showcase on our Facebook page. Watch videos of some of the Solos and Group performances of the students.